Black Swan is a must-see movie that everyone is talking about. 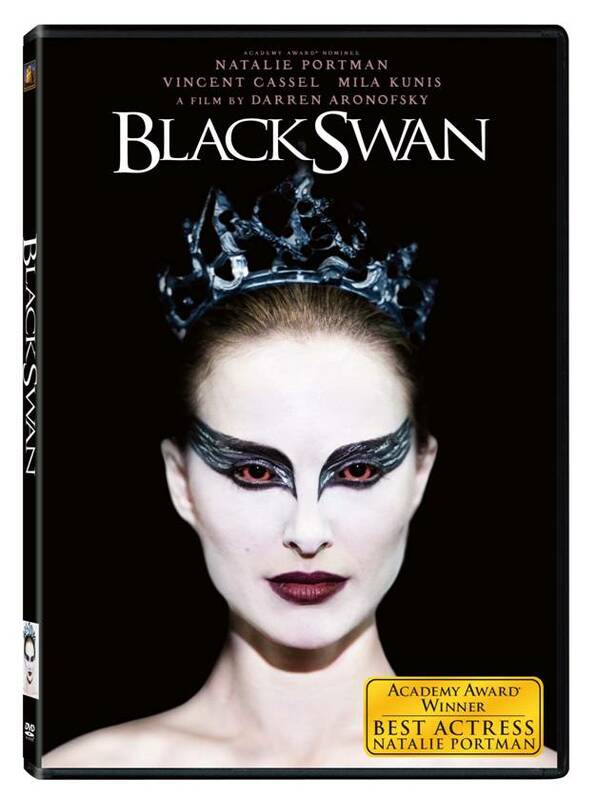 The star-studded cast along with an intriguing storyline have me eager to see what Black Swan is all about. I received the movie and will give my honest thoughts and opinions. RELEASE DATE: Available on DVD and Blu-ray March 29th 2011 from Twentieth Century Fox Home Entertainment. This is my first movie review, so it may contain spoilers. I will try to avoid giving too much away, but I am not making any promises! After all the buzz going around about this movie, I was very excited to see it. I am the type of person that wants to know exactly what is going on in a movie at all times. I even like to get a good feel for the storyline before I sit down to watch it. However, I also like a movie that makes me think and keeps me on my toes with some curve balls. Well, Black Swan definitely did that! This movie kept me thinking the entire time. As soon as I thought that I had figured out a character, something would happen to completely contradict my thoughts. Take Nina’s (Natalie Portman) mother, for example: My initial opinion was that she was completely overbearing and controlling with her daughter. Throughout the film, my opinion changed dramatically. Turns out her daughter needed constant supervision due to what I perceived as a severe mental illness. There was only a short period of about ten minutes that I found myself a little bored with the movie. Other than that, I was completely intrigued with the storyline. I found myself trying to psychoanalyze Nina the entire time. It was obvious that she was driving herself completely mad, but did she have underlying mental problems to begin with? That would explain her mother’s watchful eye. Signs pointed to a self-destructive pattern of excessive scratching. Or, was her madness being brought on simply because of her obsession to become the Swan Queen? I am still not sure. Another mystery I was left with was about Lily (Mila Kunis). Was she even real? Or just the alter-ego of Nina? Certain scenes led me to believe that she was purely a fantasy of Nina’s. I didn’t think they let you into the ballet with that many tattoos. So, my initial conclusion was that Lily was actually another personality of Nina’s. I personally diagnosed Nina with paranoid schizophrenia. I thought that summed up her behavior pretty accurately. But, then you have the fact that Lily did interact with other characters…so I guess she couldn’t be imaginary. Perhaps it was all a supernatural twist and I am way over-thinking it all! I don’t know, I never quite completely figured that out! I have to watch it again. This movie has been described as twisted and haunting, which is right on the money. After it ended I still sat and contemplated about it for quite some time. So many questions left unanswered. It did leave me with a renewed appreciation for dancers. Such talent and dedication goes into the art of ballet dance. I absolutely love what it does for their bodies! The folks over at The Bar Method must have read my mind, because there will be a fitness dance video released at the same time as the movie! Overall, I really liked Black Swan and would give it 4 out of 5 stars. Natalie Portman earned every bit of that Academy Award! Mila Kunis was stunning as always, too. It’s Swan Lake of course! I loved this movie and would love to win it. It was Swan Lake. This movie creeped me out but I would love to own it! It’s Swan Lake. Thanks for the chance. Swan Lake but not a favorite of mine. It’s Swan Lake. Tried to just skim your review and not think too much about it as I didn’t see this in the theater so am wanting to see it on DVD. The answer to your question is Swan Lake. Swan Lake. Great review, thanks for the giveaway. Answer is Swan Lake. Thanks for the chance. The answer is Swan Lake. I think it is Swan Lake.